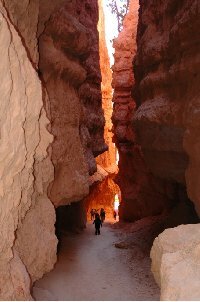 While the Arches National Park is located in the southeastern part of Utah the Bryce Canyon National Park can be found in the southwestern part of Utah. 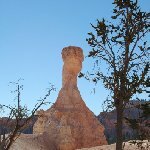 Whereas the first is world famous for its arches the major drawcard of the Bryce Canyon National Park is its natural amphitheatre with pointy rockformations, also known as hoodoos, which are formed due to erosion of the rocks found alongside the plateau. 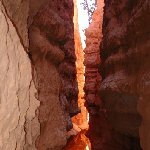 We choose to do the Navajo Loop Hike which is a 1-2 hours hike through the Bryce Canyon National Park and one of the eight hiking tracks that you can follow on a map through the park. 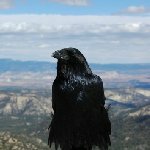 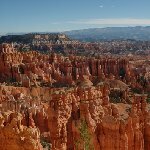 At the lookout viewpoint of Sunset Point the Navajo Loop really pays off as the farview is amazing, just take a look at the photos we took! 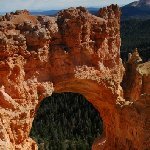 All the pictures below are taken during our hiking trip as we passed pine tree forests and gorgeous natural bridges. 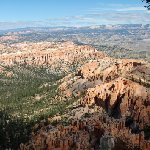 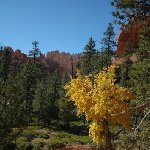 Did you enjoy Bryce Canyon National Park and have you been on a holiday in Bryce Canyon, United States? 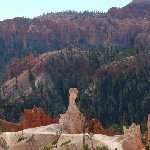 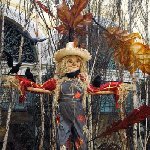 Liked: The different hiking trails and the amphitheatre.